These Pet Rescue level 583 cheats and tips will help you beat level 583 of Pet Rescue. 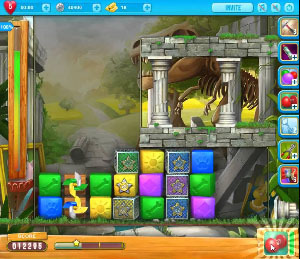 The objective of Pet Rescue level 583 is to clear 100% of the blocks and get 10,000 points. Level 583 Cheat #3: Use windmill at end of level to remove more blocks and line blaster to destroy last line.